The closing on our house is tomorrow and I just wanted to express to you how grateful I am. I chose you to list my house after witnessing your hard work, enthusiasm, and total dedication. I’m selling the house across the street from me. That exquisite house had been on the market for at least three years with three different prestigious realty firms. You were able to sell the house within six months. Unfortunately, personal circumstances made it imperative for me to sell my home, and in this most difficult market YOU did it!!! You sold the house in less than five months!! This is the ninth house that I have sold and I never worked with a better real estate broker. You are the best! You have all the best human qualities – you are honest, efficient, acceptable, unbelievably hard-working, humble, generous, clever, fun to be around, beautiful, and bubbling with enthusiasm. 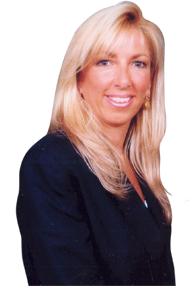 Also, Joyce, I have observed how well you work with other real estate agents – you have so many friends in the business which is an amazing testament to your success. I also feel that it helps your customers that you have an abundance of listings. Because of this fact, you meet so many potential buyers. Even though you are extremely busy… I found it extremely easy to get in touch with you via e-mail or text. You always answered me within the hour! Again, thanks for the magnificent job you did in selling my house.